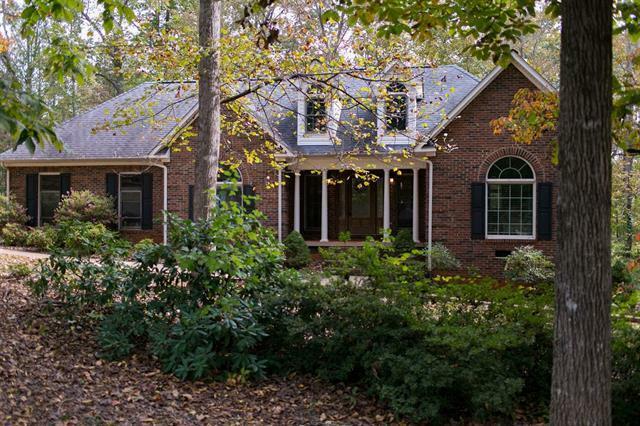 Lovely, one owner, all brick transitional in Fairway Acres. Gorgeous setting with large lot, nice backyard and corner lot. House is on .74 of an acre. Beautiful lot! Fantastic floor plan that is open to kitchen, great room with high ceilings, deck from great room, white kitchen with bar/island and eat-in area. Nice sized dining room, large master with custom bath including spacious tiled shower and walk-in closet. Split bedroom plan, foyer and welcoming front porch. One level living at it's best in a great neighborhood. House is on large cul-de-sac. Convenient location to Hickory and Charlotte. One year AHS warranty included.